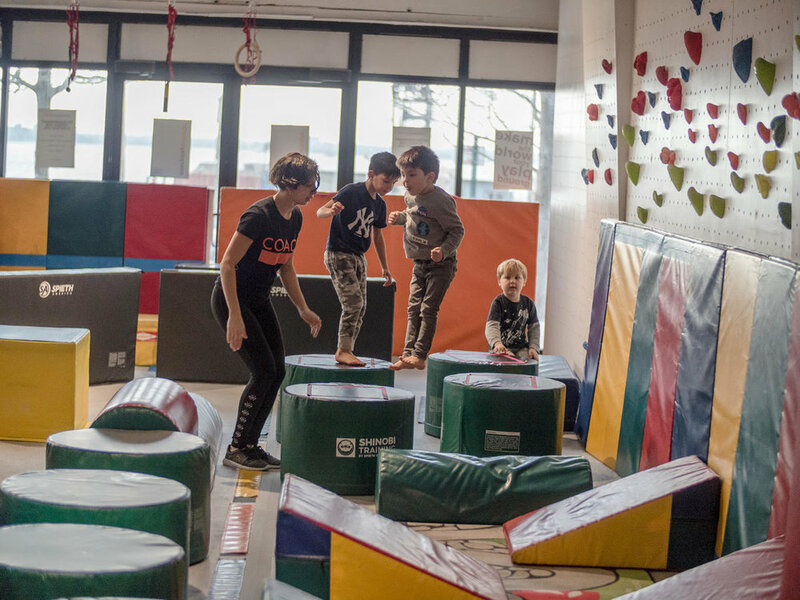 We offer multi-sport Summer Camp, featuring all the sports and activities you see here, as well as Sport-Specific Camp, where your child can focus on just one sport (Climbing Intensive, Parkour Intensive, or Skateboarding Intensive) for a whole week! "To have my daughter be able to enjoy fresh air and sunshine, learning exciting strength and confidence building skills, working in a team and creating bonds with other campers, all while under the care and direction of experienced trainers, was exactly what we needed for summer camp. EA is part of our life and has made such an impact on her attitude during the school year too, that we're so happy to be a part of the EA family year-round. And this new location is amazing!!" What better way to spend the summer than climbing? 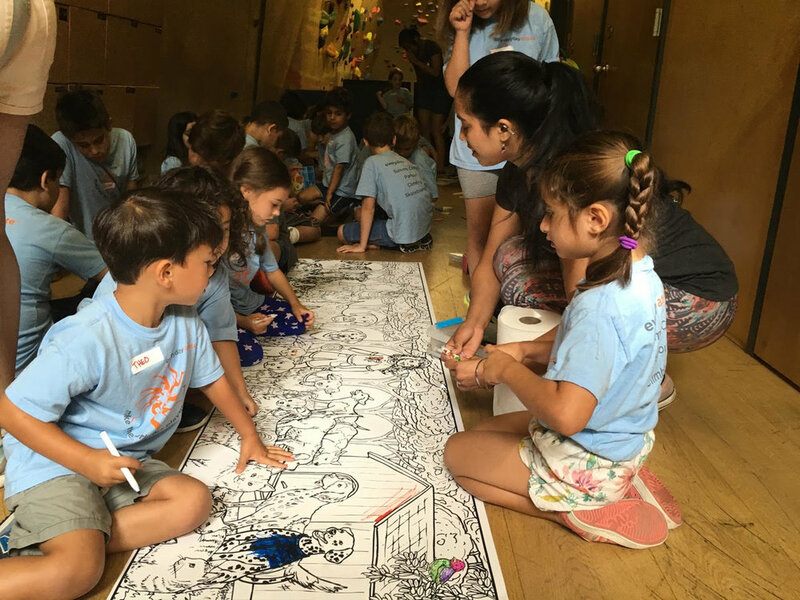 Kids will learn to climb with our highly trained coaches, either outdoors at Brooklyn Bridge Park-- one of New York's most beautiful and functional parks-- or indoors on our specialized 17' bouldering wall. Our obstacle courses may be fun, but they also teach fundamental movement patterns-- knowledge that can lead to a lifetime of fitness. There are six basic categories: jumping, climbing, swinging, traversing, balancing, and floor skills. These categories were developed to incorporate all of the basic movements and use all of the muscle groups of the human body. Parkour combines climbing, tumbling and functional training techniques to turn the world into a playground! 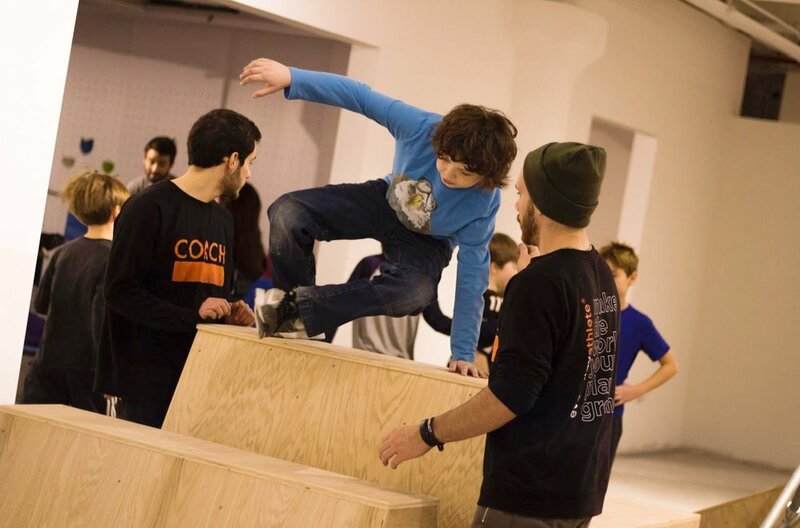 Kids will be sure to have fun and move safely through our indoor and outdoor courses, with the training of our Parkour Master Coaches. Nothing teaches balance and confidence like skateboarding! From our founders to our teachers -- we love skating. We'll take this sport indoors and outdoors this summer. Back by popular demand, we've redesigned this fun and challenging team-based game. 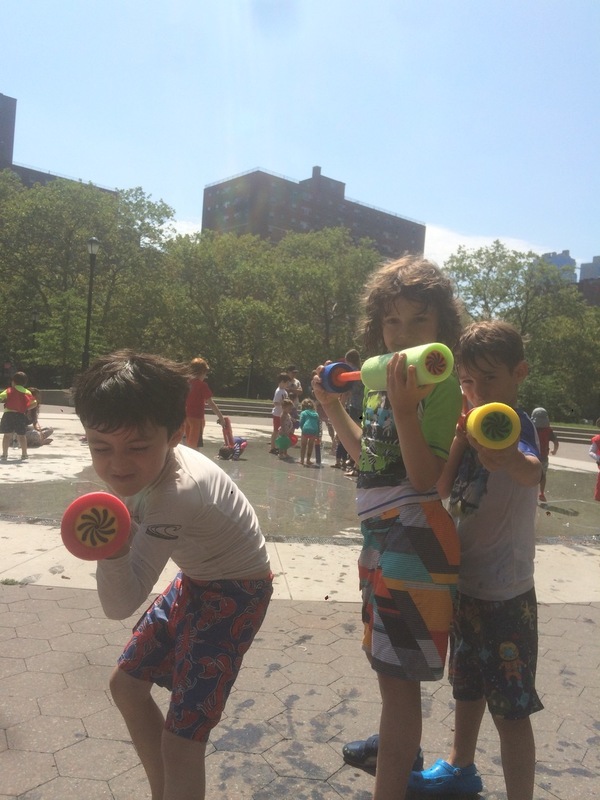 With Brooklyn Bridge Park fields at our fingertips, we can't wait to be outdoors playing games all summer long! 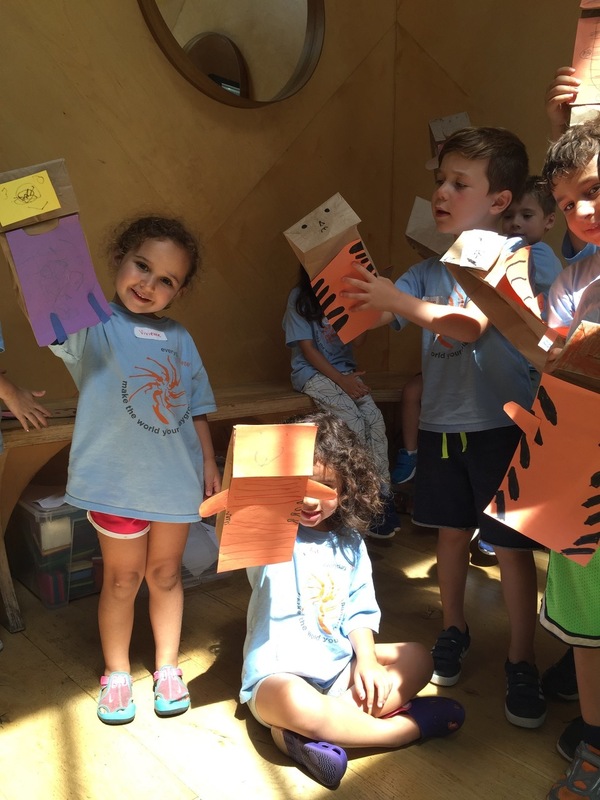 Puppet making, wood sculptures, painting, building model rockets-- these are just some of the arts & crafts we offer! "Everyday Athlete has been great for our son, both summer camp and after school classes. At EA he can be loose and playful, develop his athleticism and confidence and learn cool skills like rock climbing and parkour. They have smart, caring teachers who are great role models. Class sizes are small with lots of attention for each kid. "